Kinnvika is certainly the most well-known place in Murchisonfjord. 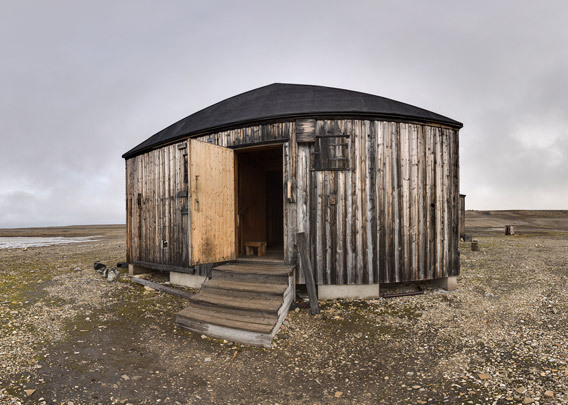 Situated in a well sheltered bay on the northern side of the fjord, it was a research station built during the International Geophysical Year 1957-59 mainly as a Swedish-Finnish effort. 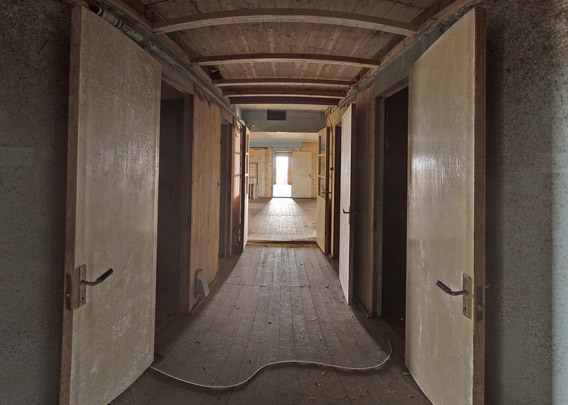 The station was quite substantial, with no less than 10 buildings spread over some area in case one of them would catch fire. An old amphibian vehicle is still there and some other stuff, some of it dating back to the Geophysical Year 1957-59, others is younger: in 2003-04, Marie Tieche and Hauke Trinks wintered in Kinnvika. 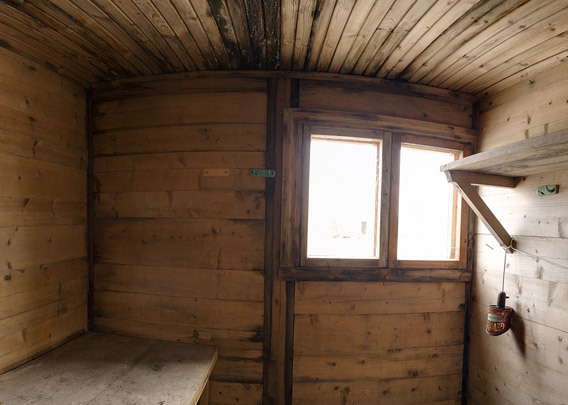 The station was again put into use, following the original intention of the place being a research area, during the latest International Polar Year of 2007-08, when scientists from 10 countries investigated the area in detail. The ice cap Vestfonna was an important focus of their work. 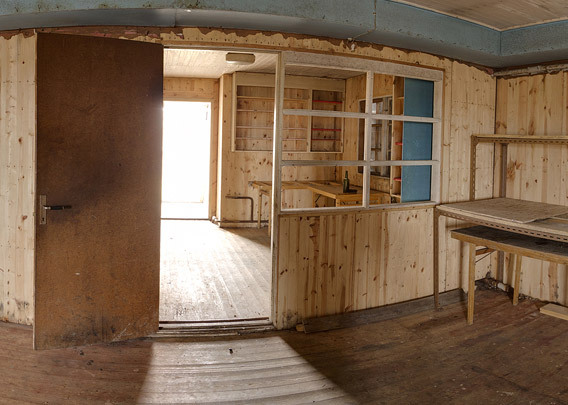 These two indoor panos are from the largest of the buildings in Kinnvika. 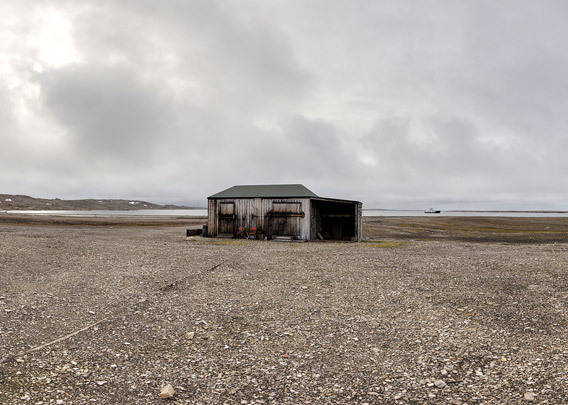 Not much is left of the charme of an old polar station, it is quite empty and does not compare to the historical huts in Antarctica (Cape Evans or Cape Royds, for example), which look as if their original inhabitants had left just yesterday. 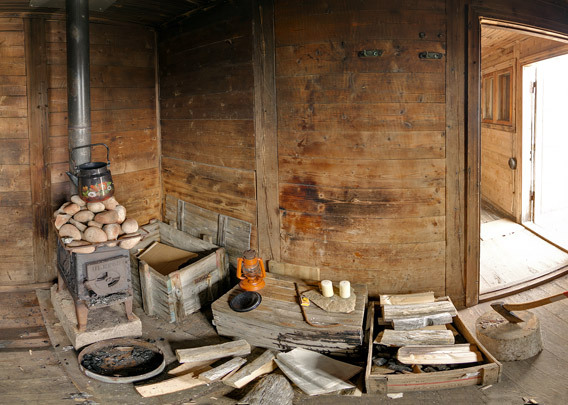 And of course the Swedish and Finnish guys from 1957-59 did not forget to build a sauna! It is certainly the northernmost one in Svalbard.